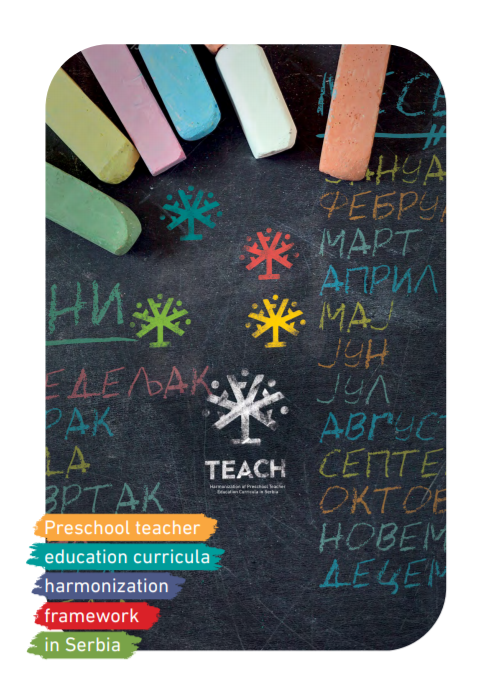 Preschool teachers education curricula harmonization framework in Serbia, produced under the TEACH project in. This particular work package was titled "Harmonization of Preschool Teacher Training Education in Serbia." The process of curricula harmonization brought together task forces from four preschool teacher education colleges. Each task force was composed of professors, teaching assistants and students. This document lays out the jointly created framework for curriculum harmonization these four teacher education colleges in Serbia.